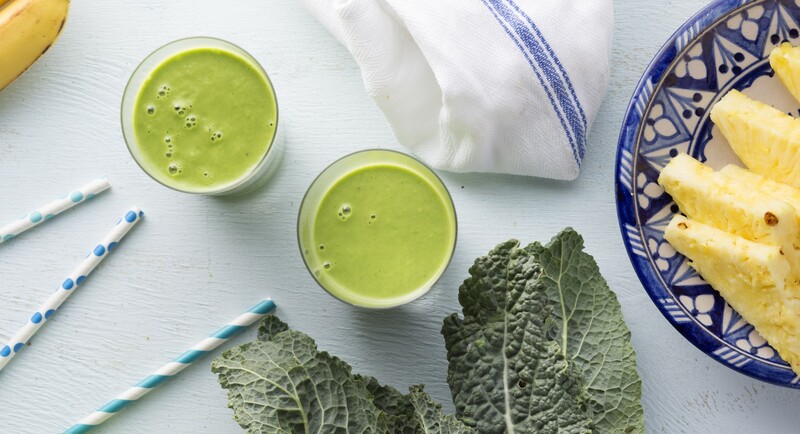 Coconut oil revs up your morning metabolism in this easy-to-make green smoothie. Place all ingredients in a high-speed blender and blend on high until thoroughly combined. Serve immediately.